For more info about our panelists, moderator, and co-sponsors, please click here! According to the Chronicle of Higher Education, economic historians have produced a number of new studies that “reshape how [we] view the connection between slavery and capitalism… show[ing] the role that coercion played in bringing about a modern market system that is more typically identified with freedom.” Was the economic rise of the West dependent upon slavery, or has the economic impact of cotton production been overstated? Have historians of cotton’s “empire” been playing fast and loose with the facts? Or have the economists become “champion nitpickers,” to quote Eric Foner, reducing history to “a source of numbers, a source of data to throw into their equations”? This year’s Chandler Lecture in Southern Business History will be delivered by Trevon D. Logan and Caitlin Rosenthal. Logan, the Chair of Economics at Ohio State University, has published influential articles in economics, economic history, and sociology journals, as well as a forthcoming book with Cambridge University Press. Rosenthal, Assistant Professor of History at the University of California Berkeley, is the author of From Slavery to Scientific Management (forthcoming from Harvard University Press). This lecture, which is free and open to the public, will be held in the Davis Research Hub, on the second floor of Davis Library. Light refreshments will be served. In September 1991, the Imperial Food Products plant in Hamlet, North Carolina exploded in flames. Twenty-five people lost their lives in the blaze; most were trapped inside the factory behind locked doors. In this lecture, historian Bryant Simon will explore the deep political, social, and economic causes of the fire: causes that made Imperial workers and their community acutely vulnerable and made the accident that happened there, or one like it, a near inevitability. 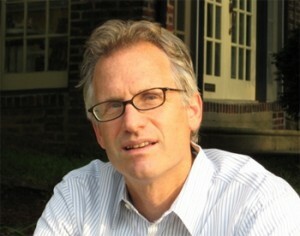 Bryant Simon is Professor of History at Temple University. He is the author of Boardwalk of Dreams: Atlantic City and the Fate of Urban America (Oxford University Press, 2004) and Everything But the Coffee: Learning About America from Starbucks (University of California Press, 2009). His research and scholarship has earned awards and honors from the Fulbright Commission, Humboldt Foundation, Urban History Association, Organization of American Historians, and the Smithsonian Institution. His work has been featured in the New Yorker, Washington Post, and The New Republic. Video now available on Vimeo! This year’s Global South Conference will focus on “The Local/Global Nexus” of Southern foodways. Please join us at the FedEx Global Education Center March 27-28! A full schedule is available here. 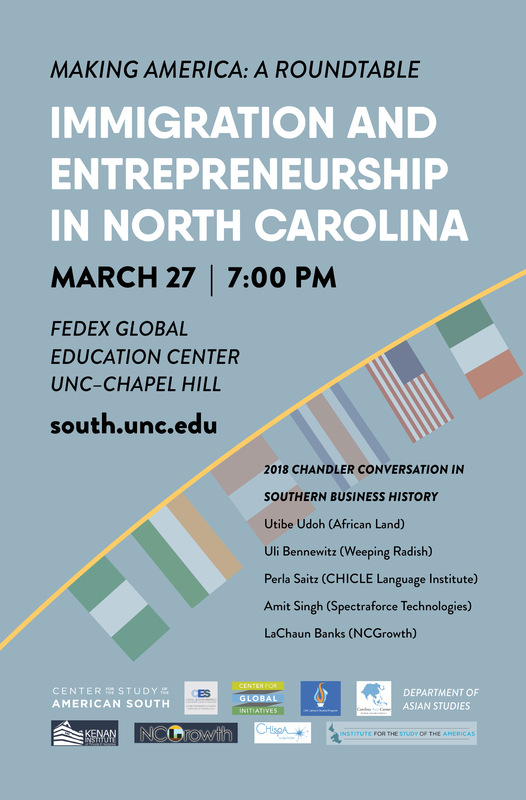 The conference will culminate in this year’s Chandler Lecture in Southern Business, presented by Vivian Howard, Ben Knight, Cynthia Hill, and Malinda Maynor Lowery. In addition to owning and operating their Kinston, NC restaurant Chef & The Farmer, Howard and Knight star in the acclaimed PBS series “A Chef’s Life.” Hill is Producer/Director and Lowery is Co-Producer of the series. Hill is also an award-winning documentary filmmaker, and Lowery directs the Southern Oral History Program. This event is free and open to the public. Parking information for the FedEx Center is available here.